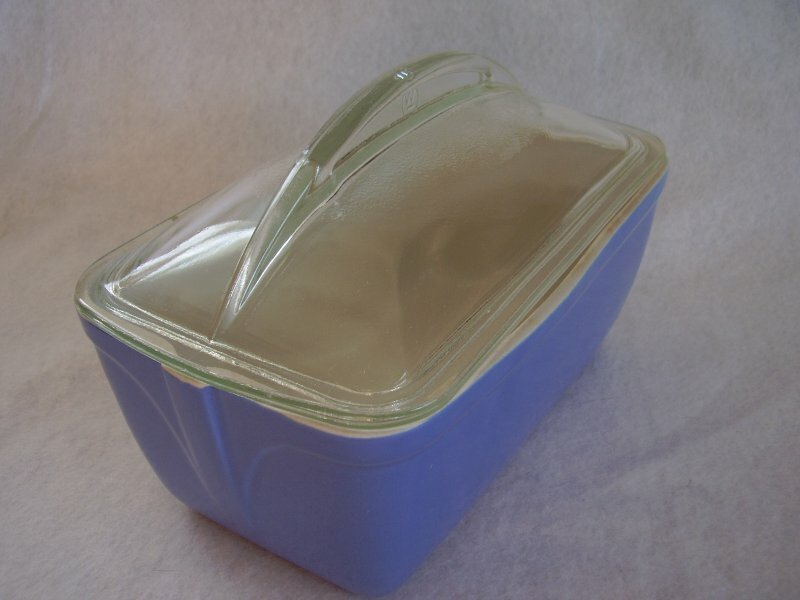 Vintage Hall China made for Westinghouse blue loaf or casserole covered dish. Made in the 1930s as a promotional item. Please note that this is NOT the original lid. 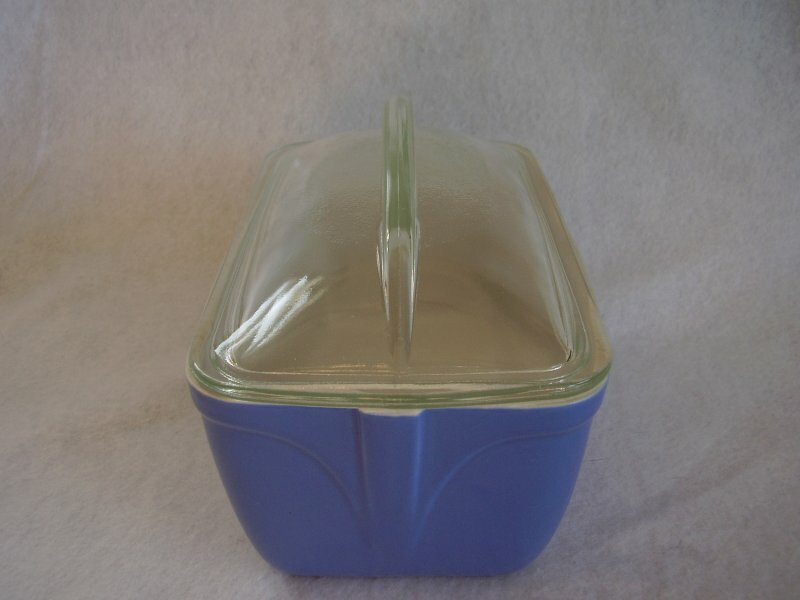 Original lids were in blue to match the bottom. This lid is a Westinghouse glass lid with a fin handle that fits perfectly. 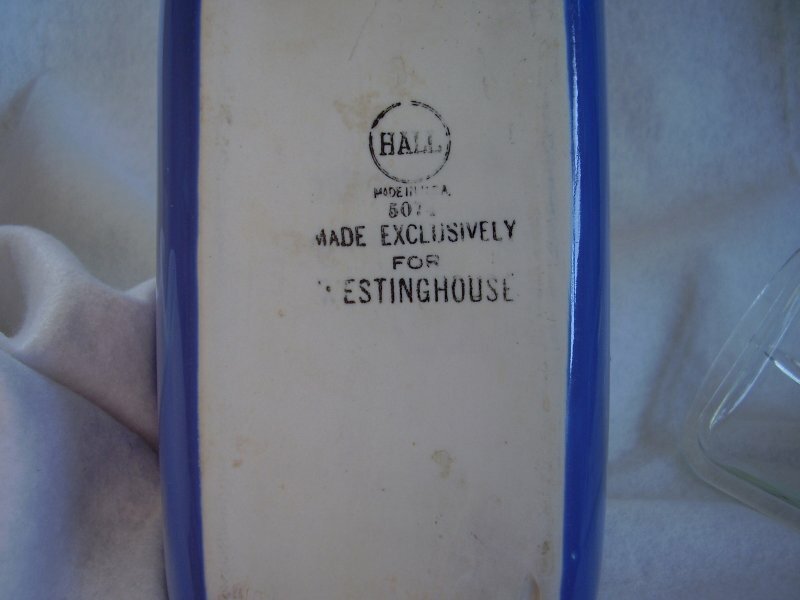 Vintage Hall China made for Westinghouse blue loaf or casserole covered dish. Made in the 1930s as a promotional item. Please note that this is NOT the original lid. Original lids were in blue to match the bottom. This lid is a Westinghouse glass lid with a fin handle that fits perfectly. 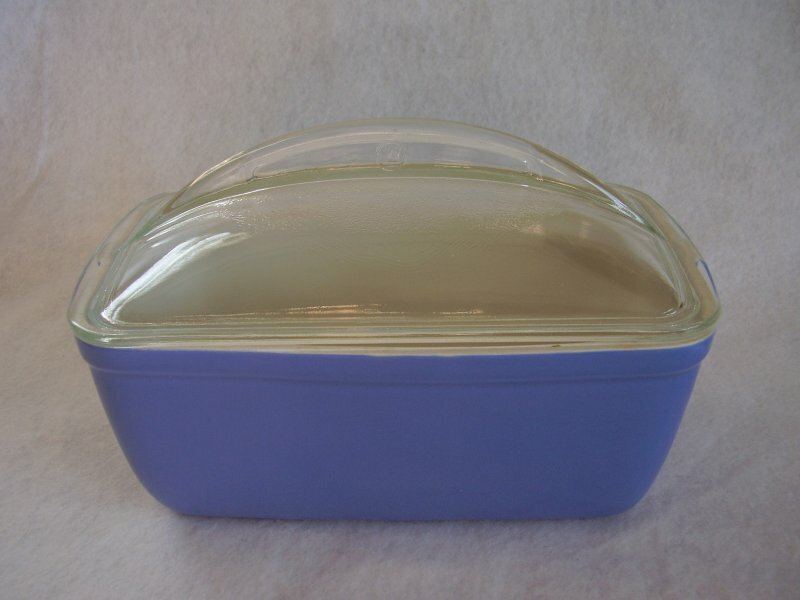 The dish measures 3 1/2 inches tall without the lid, 5 1/2 inches tall with the lid, 5 1/4 inches wide x 9 inches long. It holds 54 oz. Excellent vintage condition.There is no fading of the gloss, no chips or cracks. The rim is unglazed and has some very minor discoloration. 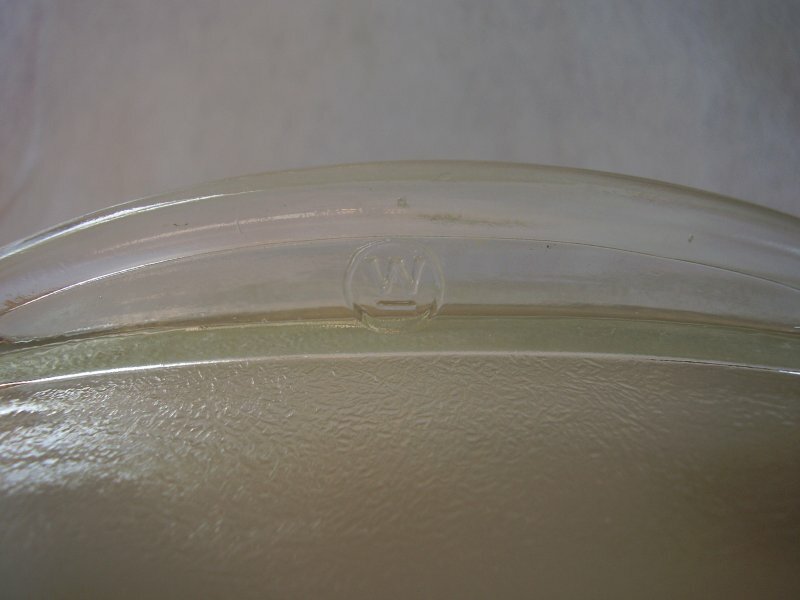 The glass lid has the fin handle with the Westinghouse logo impressed. The lid measures 5 1/4 inches wide x 9 inches long. The inner lip has a teeny pin head size chip. Perfect for meatloaf, bread etc.